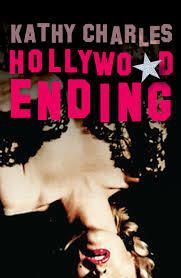 When I wrote ‘Hollywood Ending’ I had no idea it was YA. It’s too strange, I thought. Too morbid. It has death and drugs and (yikes!) even cursing. But then I started to think of all the YA books that had moved me as a teenager. These books were dark, bold and controversial. They upset me, terrified and excited me. They were about kids like me thrust into extreme, inexplicable situations. Many of these books have stayed with me, and even as an adult who shouldn’t be so easily spooked, they continue to haunt my dreams. To celebrate Persnickety Snark’s 1st birthday, I wanted to share with you three of the novels that freaked me out when I was a teenager. Happy reading – if you dare. Mwah ha ha ha! (That’s my evil laugh, just in case it didn’t translate very well). This book scared the crap out of me when I was a kid. A boy called Tim discovers he has a Great Aunt Emma when she inexplicably turns up out of nowhere on his parents doorstep, grinning. Tim is perplexed his parents have never mentioned her before, and together with his best friend Beth he decides to discover the truth behind this strange visitor. I won’t spoil it for you, but needless to say Grinny isn’t who, or indeed even what she says she is. This is the sort of book that’s so scary you hide it under your bed as if to even catch a glimpse of it in the middle of the night would send you in paroxysms of terror. Best scene: On the ice in the backyard Grinny takes a spill, and a broken bone gives us a chilling glimpse of the creature she really is. This was the first young adult novel that shocked me to my very core and had me furious at the author for doing something so horrible to his readers. A school bus is hijacked by terrorists demanding the return of their homeland. The tagline when the book came out was: ‘Who will be the next to die?’ And die they did. This is the sort of novel where no character is safe and there is no happy ending. A powerful and stunning novel if you can handle it. Best scene: the heartbreaking climax that is so shocking at first but in some ways seems inevitable. It will always stay with you. This novel totally threw me for a loop when we studied it in school and introduced me to the concept of the unreliable narrator. Stephen Messenger is a teenager living in Western Australia who disappears and leaves behind mysterious papers that talk of ship wrecks, hidden relics and murder. When our teacher suggested to us that the narrator may not in fact be telling the entire truth we couldn’t believe it. A narrator that lies to his readers? But then, what if none of the book is true? What would that mean? What is real and what isn’t? Whoa! This book gives ‘The Da Vinci Code’ a run for its money in the cracking mystery stakes. Best scene: The spooky ending. Happy birthday Persnickety Snark! Congratulations on an outstanding year and may you continue to bring us the best of YA in 2010. Kathy Charles is the author of Hollywood Ending, which is available in Australia from Text Publishing, and will be released in North America by MTV Books in Summer 2010. This will be a must have for the YA blogosphere as it's along the lines of Stephanie Kuehnert and Cecil Castellucci's fantastic novels about grimey LA. 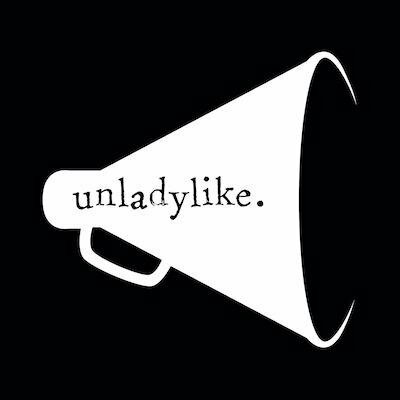 You can check out her website here. Thank you for the excellent post here today. I really enjoyed your selection of scary YA books. Most I hadn't read. (GRINNY I did, & yes, it was all you said it was). Grinny was the scariest book I read as a teenager. Totally chilling. I really did used to hide it under my bed! The Chocolate War by Robert Cormier is a disturbing read too. Another book that freaked me out was The Witches by Roald Dahl, but then again everything he writes is pretty creepy (in a good way!). ho boy, and anything by sonya hartnett! she is incredible. i loved hollywood ending, just magnificent. a wee bit disturbing, though in the very best way. Awww... thanks Kate! Embarrassed to say I haven't read any Sonya Hartnett yet, but she is most definitely on my to read list! Oh man, I am so with you with Ginny and Strange Objects. They totally freaked me out. Also "Stone Cold" by Robert Swindells was incredibly creepy. Still can't even look at it without chills.